Deeyah Khan is an award-winning documentary film director. Her films explore the social and psychological tensions of modern, multicultural societies. 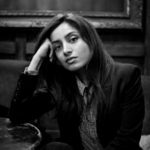 Her debut film, BANAZ about the “honour” killing of a British-Kurdish woman won an Emmy, Peabody and received an RTS nomination. JIHAD, nominated for a Grierson and a Bafta, involved two years interviewing Islamic extremists and convicted terrorists. WHITE RIGHT: MEETING THE ENEMY was also Bafta-nominated and won an Emmy award for Best International Current Affairs Documentary in 2018— this film saw Deeyah travel to the United States where she shadowed neo-Nazis, including attending the now-infamous Unite the Right rally in Charlottesville.